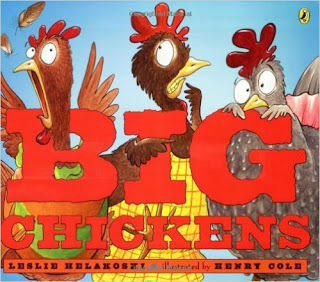 My daughter chose the book Big Chickens by Leslie Helakoski for a bedtime story a few days ago. It’s a fun book about a group of scaredy-cat chickens who are frightened by a wolf. As they run off they end up going on quite the adventure and by the end of their journey they discover their bravery. 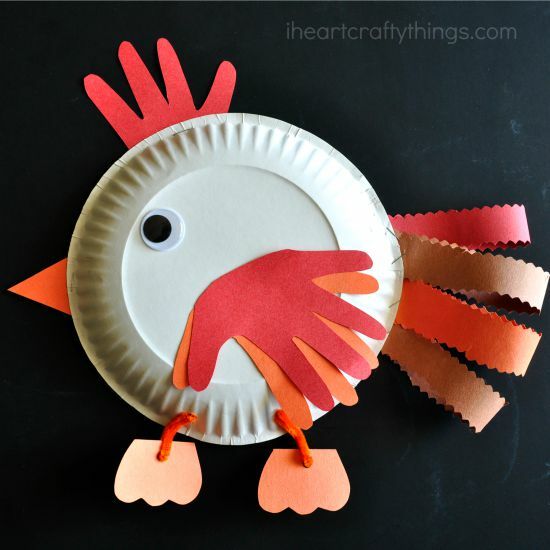 We decided to make a Paper Plate Chicken Craft for Kids to go along with the silly story. You can purchase Big Chicken by Leslie Helakoski on Amazon! 2. 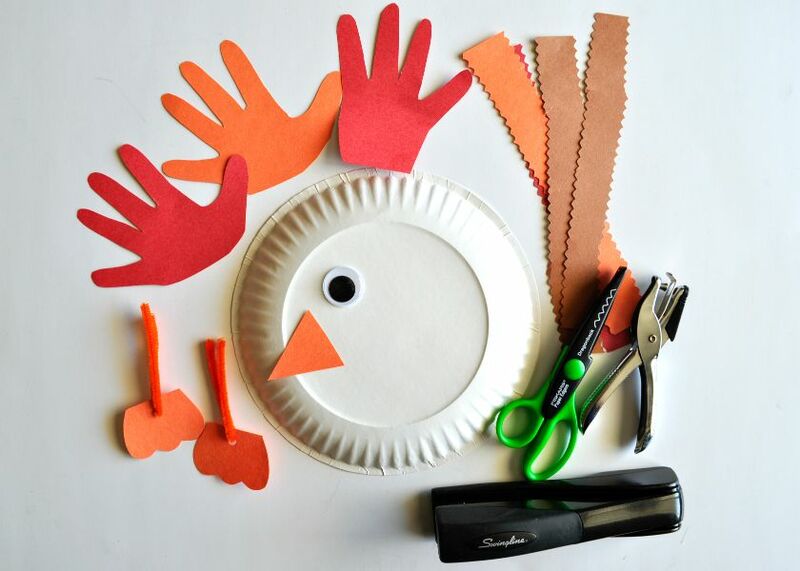 Use your paper edger scissors to cut a few strips from your construction paper. These will be the tail feathers. Also, cut two feet and a beak out of your orange construction paper. 3. 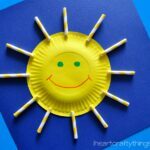 Staple or glue the 4-finger print onto the top of your paper plate. Glue the other two prints together layering them so both colors show, and glue them onto the bottom half of your paper plate. 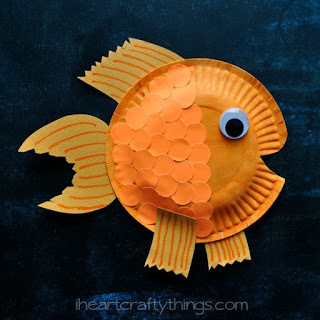 Also, glue your googly eye onto your paper plate. 4. 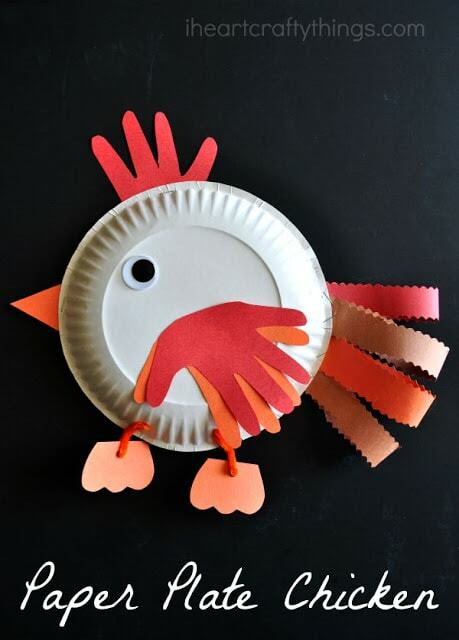 Staple or glue the beak onto the front of your paper plate. 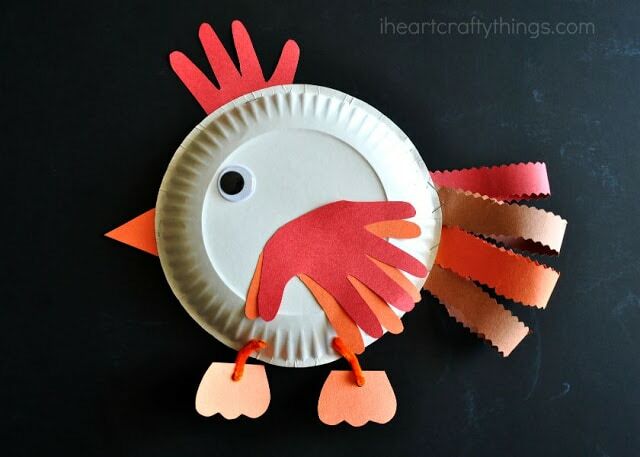 Next, fold your feather strips in half and staple them onto the back of your paper plate. 5. Punch a hole into each of your feet and two more holes at the bottom of your paper plate. 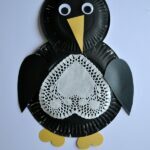 Cut your pipe cleaner in half and thread the sections through the chicken feet, and then thread them into the holes of the paper plate. 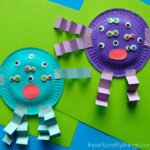 Bend the pipe cleaner down on the back of the paper plate to hold the feet in place.